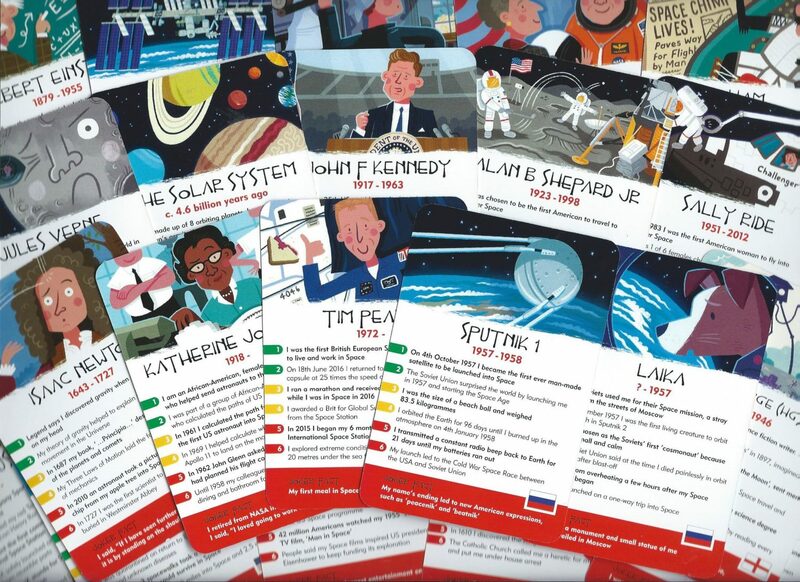 History Heroes’ SPACE quiz card game contains individual cards of forty of the most significant characters in Space. 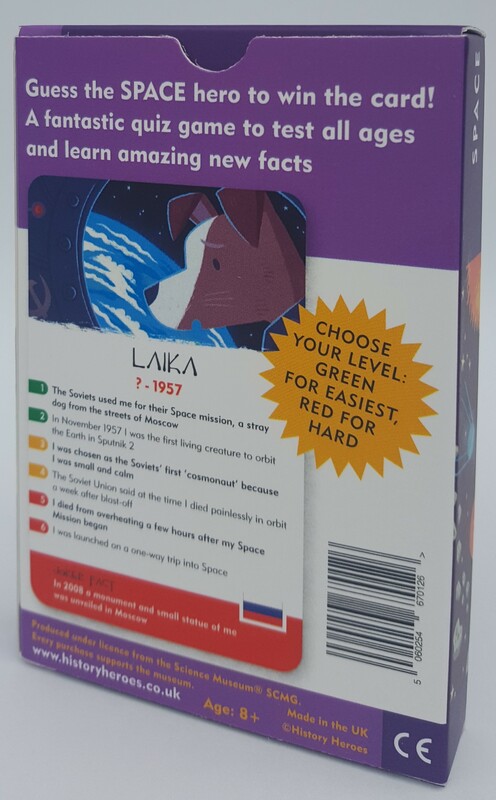 In this era of renewed fascination and ever-increasing hunger for space exploration, History Heroes’ SPACE game gives a fantastic overview of 40 characters and objects that have made space exploration possible. 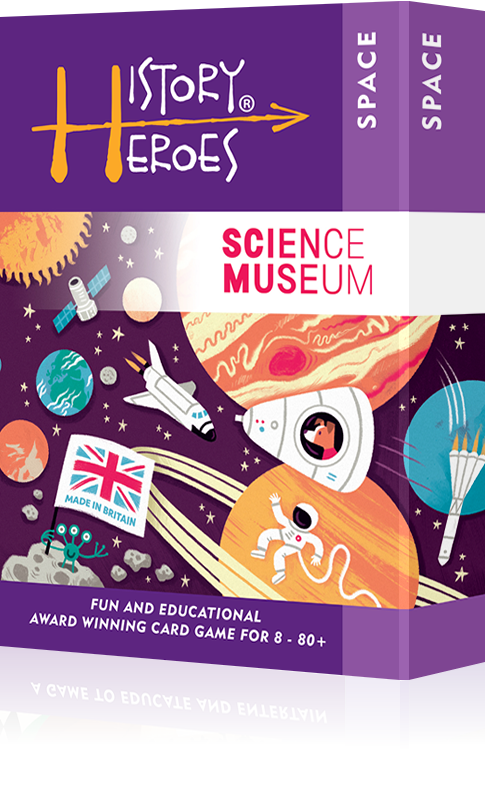 It looks at the scientists, who developed our understanding of our Universe from Aristotle to Einstein. 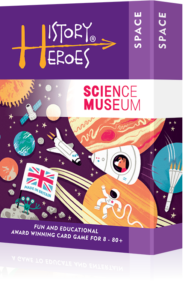 It includes novelists, such as HG Wells and Jules Vernes, who both foretold so much of our world, and who inspired the Space engineers to dream. Characters, such as JFK, Walt Disney and Elon Musk have helped push the dream. 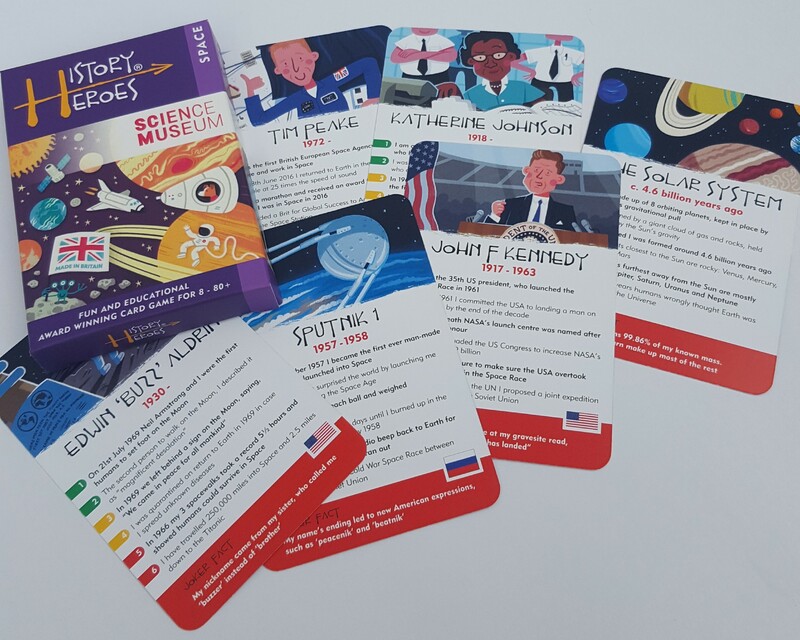 And let’s not forget the objects and characters, such as Sputnik 1, Katherine Johnson, Neil Armstrong, Laika and Tim Peake, who have actually made Space exploration happen.